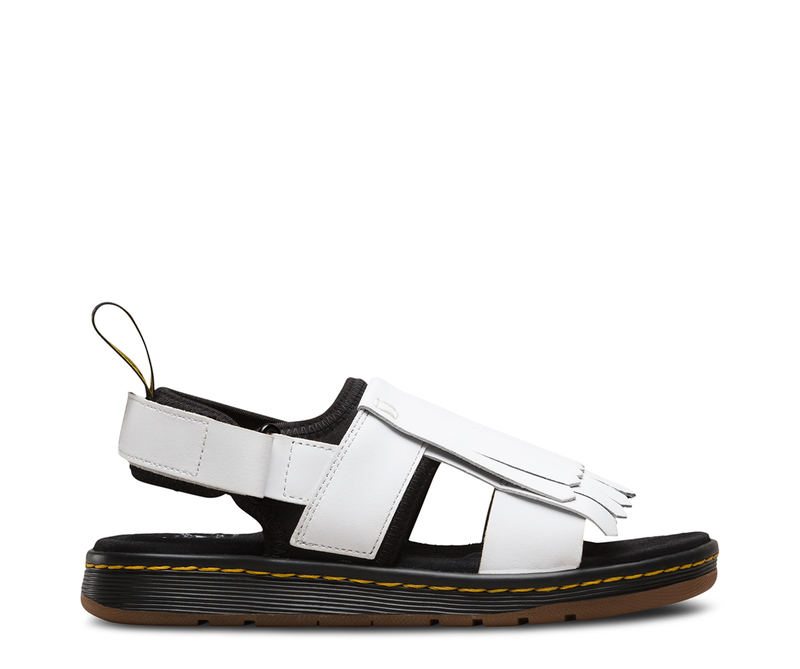 The Rosalind leather sandal effortlessly fuses the traditional – it features a leather upper and kiltie fringe – and the modern – there's a hi-tech neoprene lining detail. A clash of the classic and the contemporary, Rosalind is so lightweight you'll want to wear it all summer long. 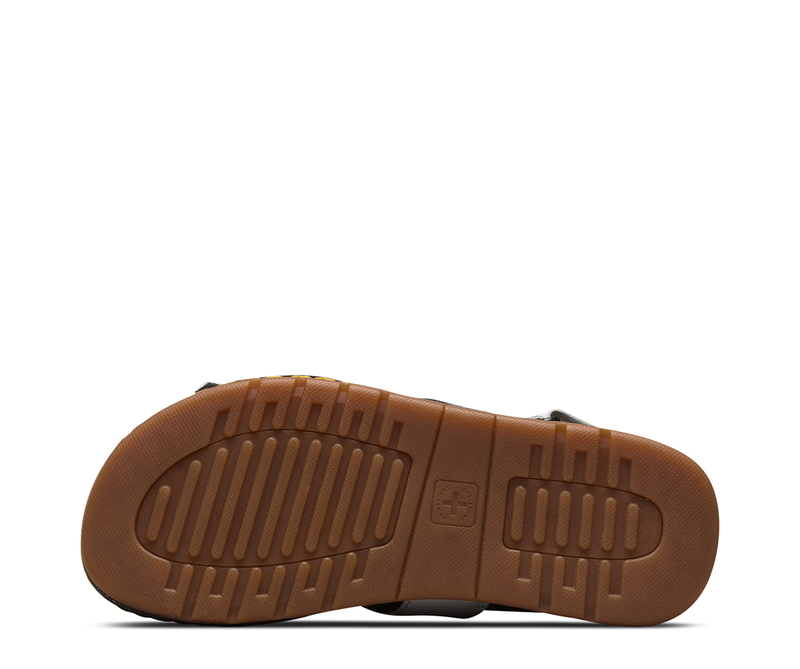 It sits on our DM's Lite sole and has a durable, flexible and light cemented construction. The ankle strap is adjustable for the perfect fit and lined to prevent rubbing. The Softwair footbed is lined with a soft, micro fibre material for comfort. 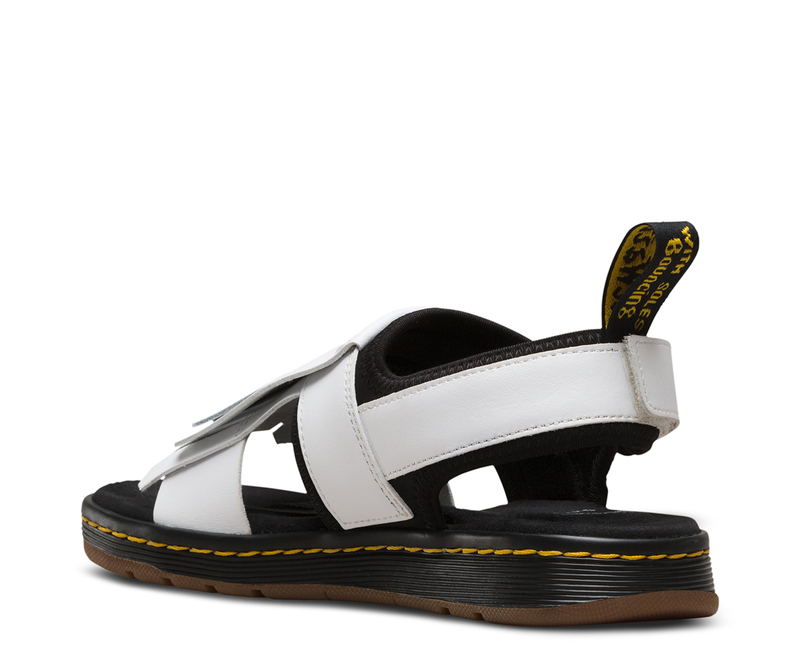 The style is finished with our yellow welt stitch – so you know it's Dr. Martens. Available in three shades – black, white and cherry red.